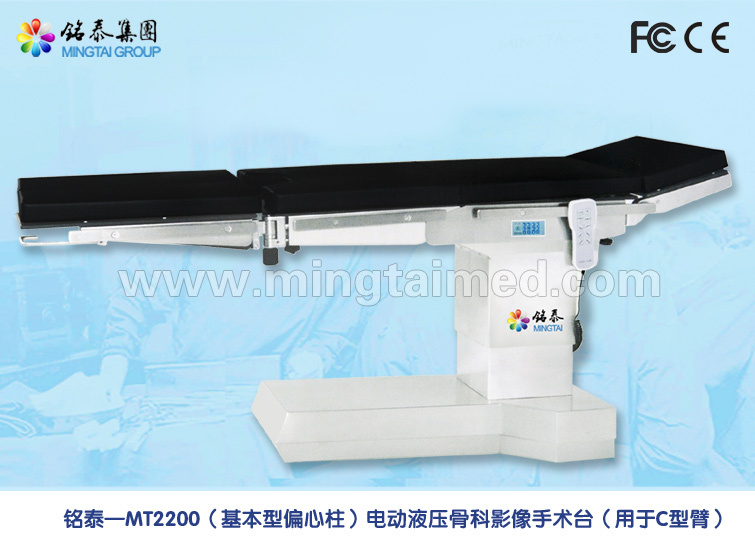 Mingtai MT2200 eccentric column electric hydraulic Surgical Operation Table adopting world famous brand hydraulic pump, solenoid valve, high pressure oil press line, low noise, smooth table when working. It controls the table broad`s height adjust, forward and backward tilt, lateral tilt and back rest, easy to operate. Those motion`s speed can be adjusted to make patients feeling comfortable. Moving Oscillator is better than industrial standard. Head board and leg board is manual operation, worked with auxiliary air booster system, easy to operate. 9 . Machine design meet the national medical equipment safety standard, equips with different function`s accessories to meet different surgeries` requirement. 1. Electric hydraulic drive system: adopting world famous brand hydraulic pump, solenoid valve, high pressure oil press line, low noise, working smoothly. The hydraulic system control the height adjustment, forward/backward tilt, lateral tilt and back rest, easy to operate. Those motion`s speed can be adjusted making patients feel comfortable. Horizontal oscillating quantity, vertical oscillating quantity and lateral oscillating quantity of level are better than industrial standard. Head board and leg board is manual operation, assist work with air booster system, easy to operate. 6. Optional the same brand hanging orthopedics tractor. 9. 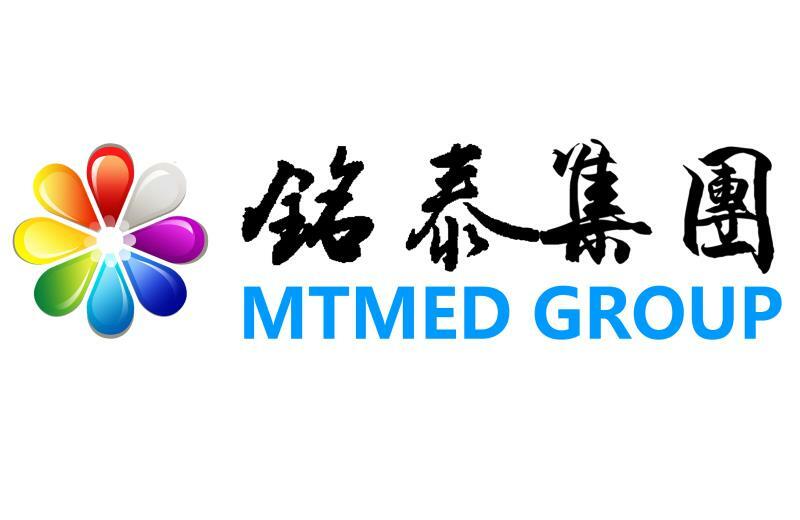 Machine design meet the national medical equipment safety standard, equips with different function`s accessories to meet different surgeries` requirement. Looking for ideal Electric Hydraulic Surgical Operation Table Manufacturer & supplier ? We have a wide selection at great prices to help you get creative. All the Electric Surgical Operation Table are quality guaranteed. 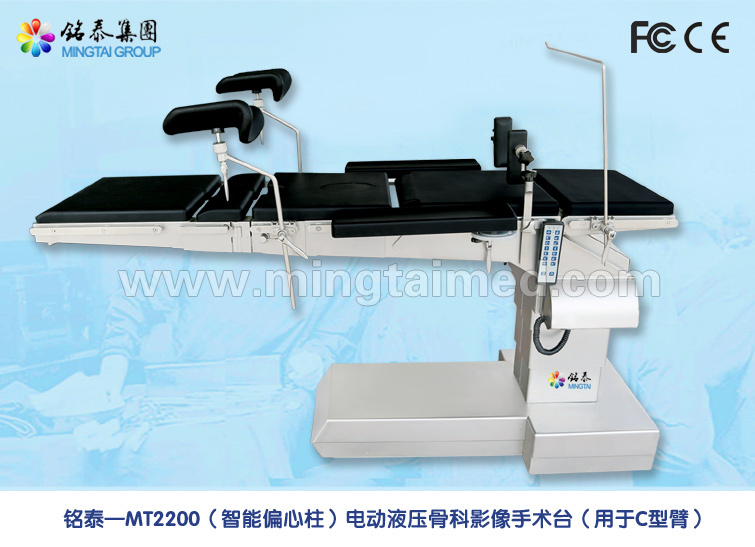 We are China Origin Factory of Medical Electric Hydraulic Operating Table. If you have any question, please feel free to contact us.